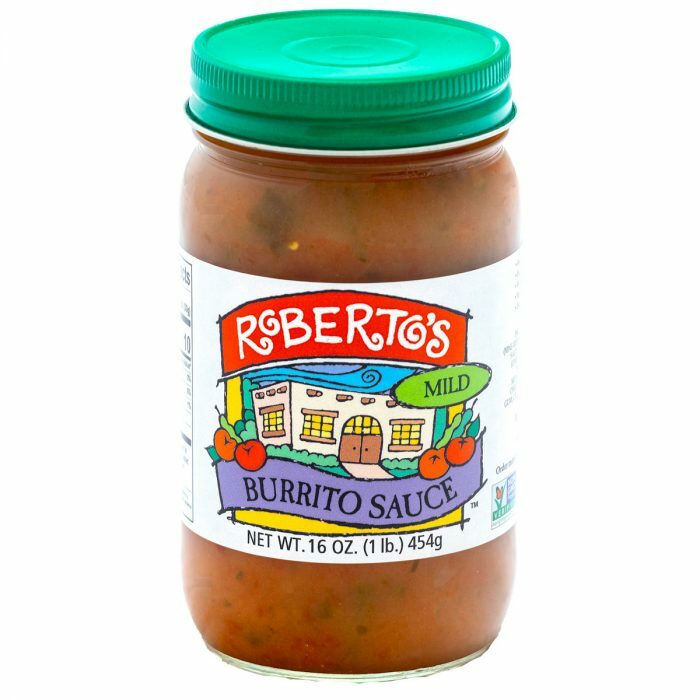 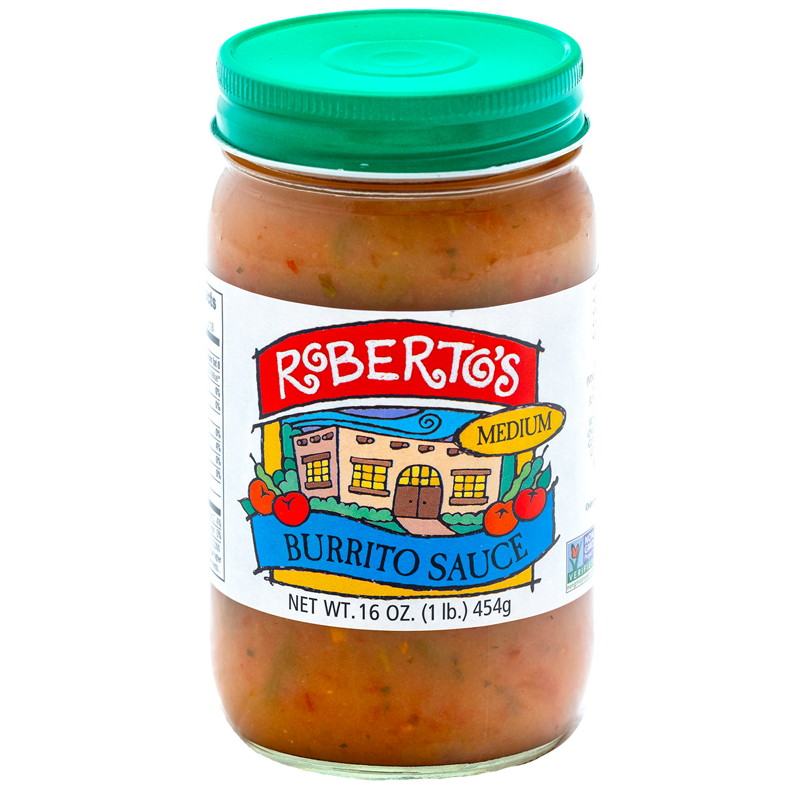 The Burrito Sauce is one of Roberto’s traditional standby’s that comes in mild, medium or hot. 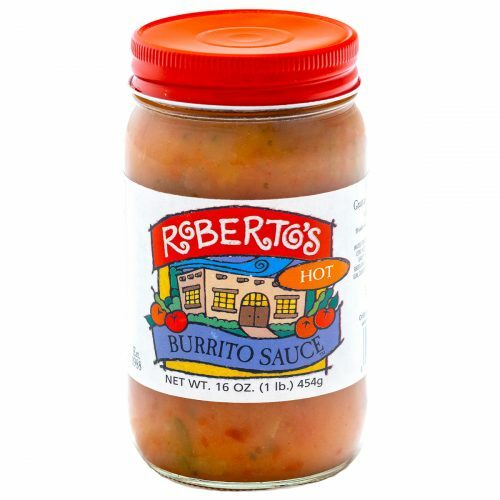 A superb addition to burritos, beef, pork, chicken, & soups. 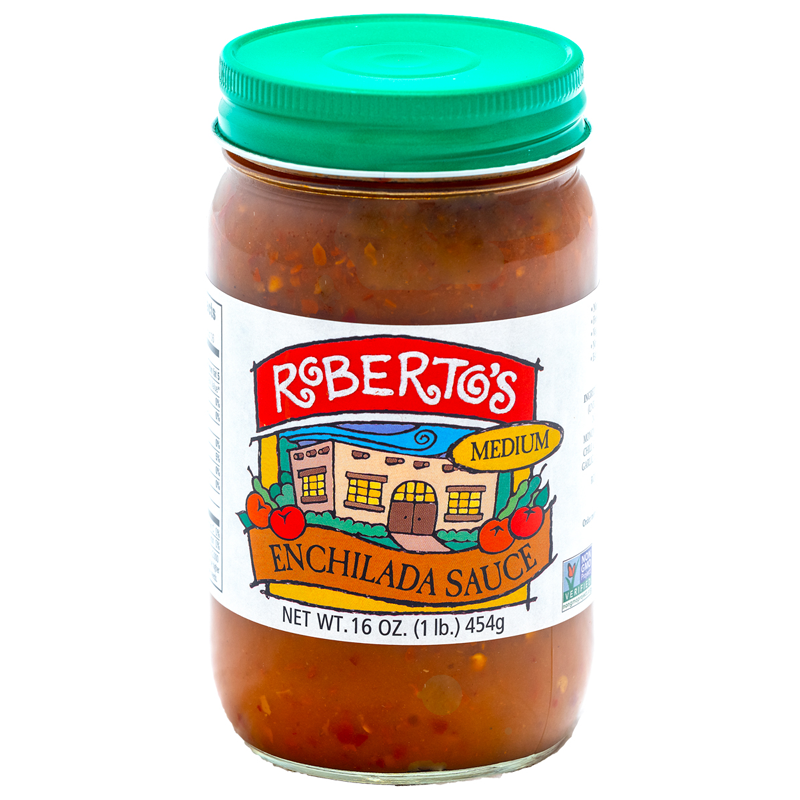 Water, Tomatoes (Vine-ripened fresh tomatoes, salt, and citric acid), Green Chiles, flour (Wheat Flour, Malted Barley Flour, Niacin, Iron, Thiamin Mononitrate, Riboflavin, Folic Acid), onions, salt, canola oil, xanthan gum, cilantro, garlic, citric acid & spices.